This is the second month for the "Letters to our sons" blog circle. 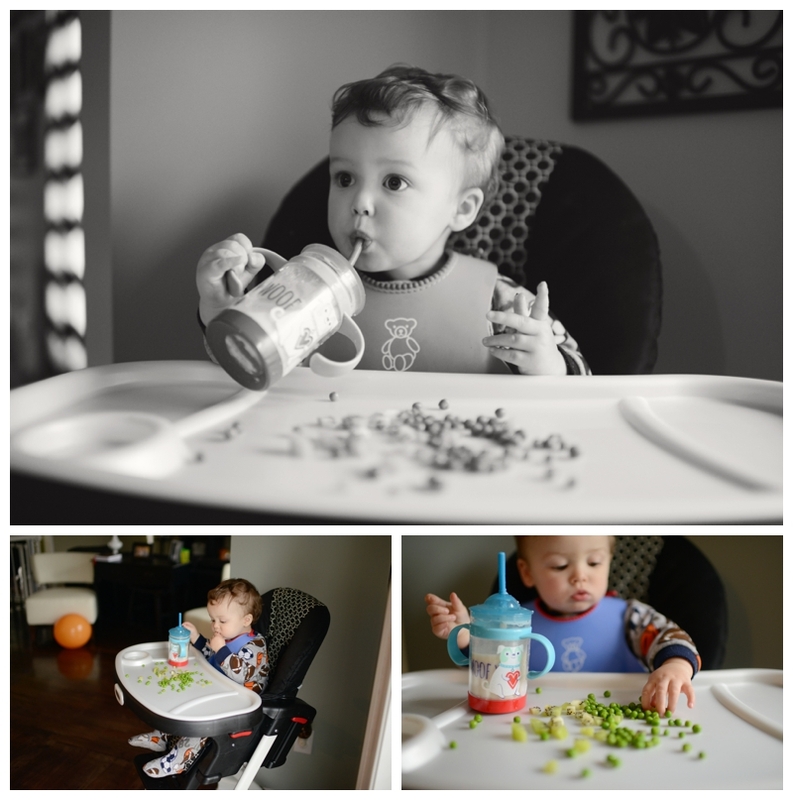 This month, I decided to take some quick snapshots of Carter after his nap one day. Nothing staged, nothing posed, just our life and the things he currently loves. You have finally started to fall asleep on your own for naps and bedtime without having a complete meltdown. It is an amazing feeling. Notice the paci ring on your face? You love it so much, that it is permanently indented on your face after you sleep. Mommy has anxiety thinking about getting rid of "C" (paci). It is part of you. For some reason I feel like once you loose the paci, you loose the last part of being a baby. I don't know if anyone has noticed yet how much you like your paci. Do you? Right now, you are really into "bites" of everything! Not just of your food, but mommy's food, daddy's food, a complete stranger's food.....you get the picture. You also really love getting a "dink". You love drinking out of straws more than regular sippy cups. Also, forget the water, you love almond milk. We are really working on independent play with you right now. You really like mommy time and would prefer that I play with you 24/7. Not like I have anything to do. Books are a constant favorite, but some other favorites include: iphones, remotes, boxes, towels out of the kitchen drawer, dog bones, and computers. Like I said, you LOVE remotes. It is funny to watch you point it at the TV to see if anything happens! Your favorite shows/movies are: Mickey Mouse Clubhouse, The Chica Show, Thomas the Train, and 101 Dalmatians. Mommy has banned Calliou because he is a whiney little brat. Also, if mommy has to watch another episode of Noodle and Doodle or Sid the Science Kid, mommy will pull all of her hair out that you love to play with. I love you baby boy! You are so much fun right now! It is hard to believe you will be 14 months old in just a few days!